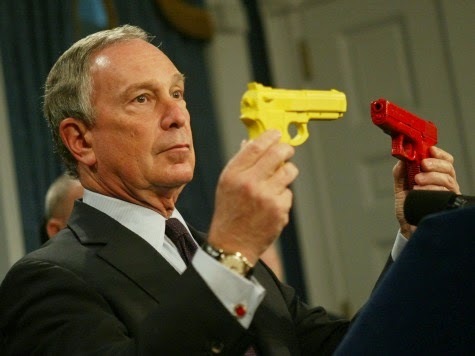 CRIME, GUNS, AND VIDEOTAPE: Michael Bloomberg is Spending $50 Million to Help Gun Owners! Michael Bloomberg is Spending $50 Million to Help Gun Owners! New York, NY—Billionaire and former NYC mayor Michael Bloomberg announced he’s investing $50 million of his own money to castigate firearms owners and the NRA. Apparently Bloomberg has failed to notice that the more discussion about firearms to more popular gun rights becomes. Each political push after mass shootings has backfired greater than the last! These days each poll on gun control is better than the last! Nearly every public relations experts understands what the late, P.T. Barnum said, “I don't care what they say about me, just make sure they spell my name right!” Even bad publicity can be good! With each discussion of gun control comes research and lots of thought. In the end the lies, half-truths and deception about guns fails. What people discover is guns can save lives, especially their own! Bloomberg couldn’t help gun owners any better even if he gave the cash to the NRA! Bloomberg’s planned mission is as defective as his entire thought process on guns. In the end I expect we will have much better educated population when it guns and gun rights. Thanks Mike! Yup,and Pierce Morgan lost his job over gun control. We are slowly winning.